After/before peeling the onions, their roots need to be cut, and this is what our onion root cutting machine do. 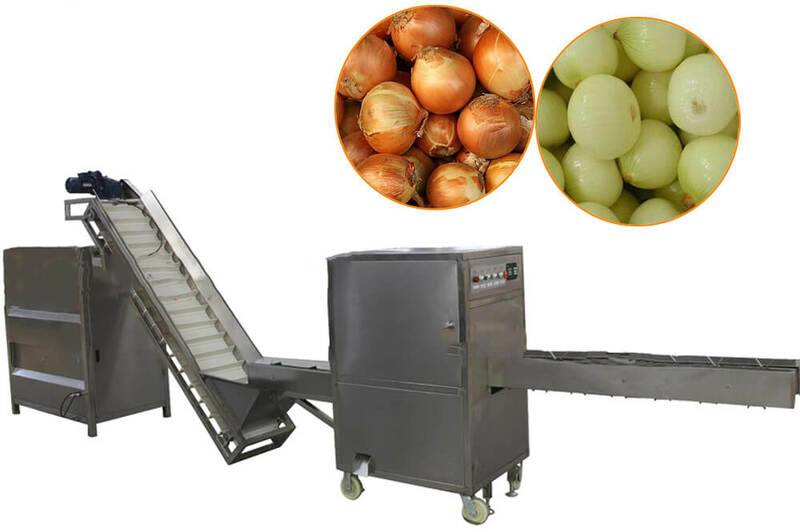 With high efficiency and perfect root removing result, our onion root cutting machine is widely used in onion processing industries. Usually, it can be used with onion peeling machine, forming a combine onion peeling-root cutting production line. 1.No special requirements on the size, skin moisture, origin, etc. of the onion, suitable for all kinds of onions. 2. Automatic operation, one-time, thorough and none-damage root removing can be completed. 3.Stainless steel main parts and outer casing, safe and sanitary; no quick-wear parts, long service life, and low cost. 4. 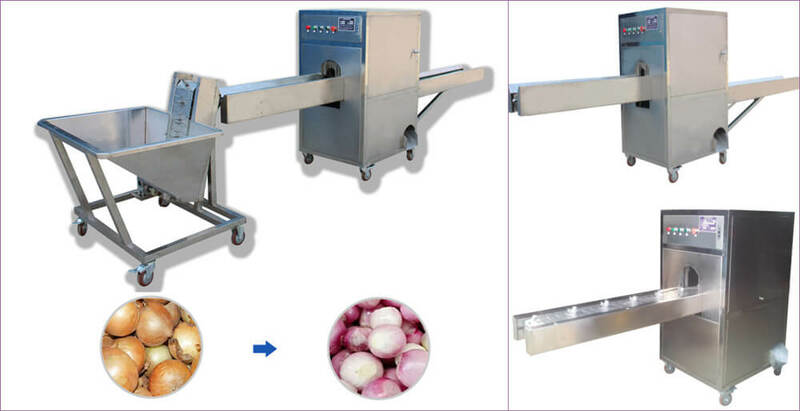 This onion root cutting machine also can be used to process Chinese turnips and many other vegetables. 1. Automatic adjustment of the root cutting size ensures a high finishing rate. 2. Adjustable root cutting depth, meeting different requirements of customers. 3. This onion root cutter machine can be customized as required. 4. The length of the conveyor belt can be customized. 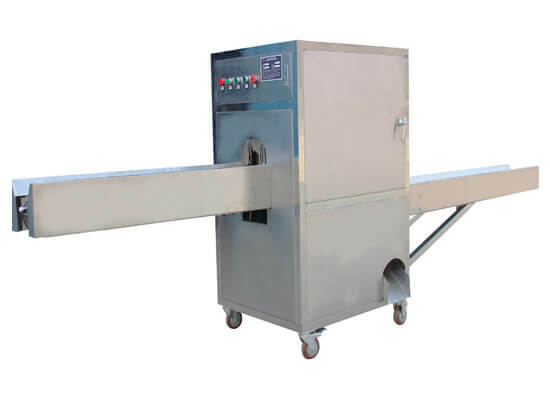 This onion root cutting machine is widely used in onion processing industries in the starch factory, refectory, restaurant, etc.